Nowadays, most businesses need a website. But nowhere is that truer than the restaurant industry, where 85% of people who search for food on their mobile phone go on to make a purchase (64% do so within an hour of searching!). The right WordPress restaurant theme can help you reach those searchers and convert them into butts-in-the-seat at your restaurant. So what makes a quality restaurant website? At a minimum, you’re going to need responsive design complete with HTML food menus (for quick page load times on mobile). Depending on your specific needs, you may want to also accept reservations and/or food delivery orders through your website. All of these 20+ hand-picked restaurant themes offer those core functions, as well as stylish, responsive design at an affordable price. I did my best to choose themes covering a range of design styles – so no matter what look you want for your restaurant’s website, you should be able to find unique restaurant themes on this list. Let’s dive in! 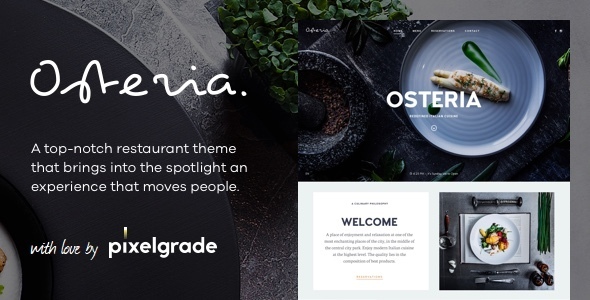 ROSA is a restaurant theme from popular developer Pixelgrade. One thing you’ll immediately notice on the homepage is a bold parallax effect as your visitors move down the page. Beyond that, ROSA includes beautiful HTML menus, as well as an online reservation tool. You can also allow online food ordering through WooCommerce. Finally, ROSA uses the WordPress Live Customizer so that you can easily make all of your style changes while previewing them in real time. 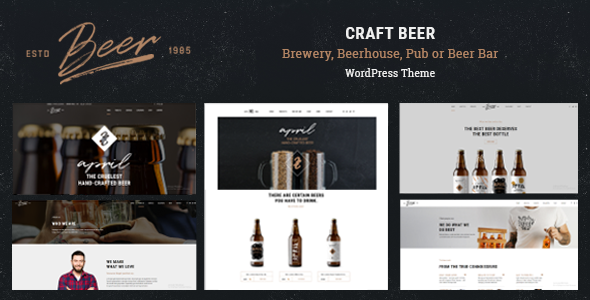 Craft Beer is a brewery/bar WordPress theme that’s focused on helping you showcase your beer better. It includes 6 different home pages, all focused on craft beer, breweries, pubs, and more. If legal, you can even sell beer online through built-in WooCommerce support. While Craft Beer is focused on the beer niche, it’s also a great option for brew pubs who also sell food because it still includes a food menu system. Grand Restaurant is a popular WordPress restaurant theme at Theme Forest. It boasts almost 4,000 sales and has maintained a solid 4.73-star rating over those many sales. Beyond a slick design, Grand Restaurant includes multiple menu styles, complete with support for different pricing variations. You can even add an Order button directly to your food menu that syncs up with WooCommerce. Other helpful features include built-in custom styled Google Maps location pins, reservation forms that can sync with OpenTable, as well as a variety of pre-built demos. Osteria is a recently released restaurant theme from Pixelgrade, the same developer behind the gorgeous ROSA theme that I featured above. While Osteria is a good bit more expensive than ROSA, it’s also absolutely gorgeous and well worth the money. Like ROSA, Osteria also includes an eye-catching 3D parallax effect on the homepage. And it also makes PDF restaurant menus a thing of the past with a truly beautiful HTML menu system. Beyond that, you can also accept reservations online and make real-time changes through the live WordPress Customizer. 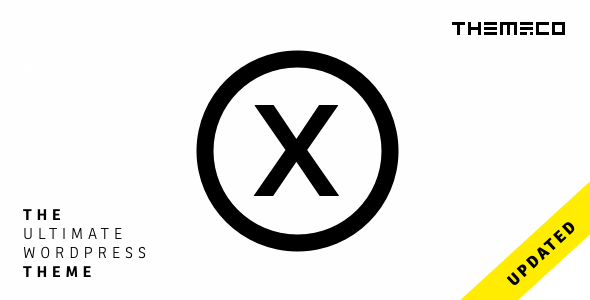 X Theme is an insanely popular multipurpose WordPress theme from THEMECO. It’s sold over 160,000 copies at Theme Forest while still retaining a 4.75-star rating, which is pretty mind-boggling. While it is technically a multipurpose theme, X Theme includes a huge variety of demos, including plenty of different options for restaurants. If you go with one of X Theme’s restaurant demos, you can be up and running with a restaurant website just as easily as with any of the dedicated restaurant themes. X Theme even includes a dedicated food truck theme style, which you won’t find in many other themes. 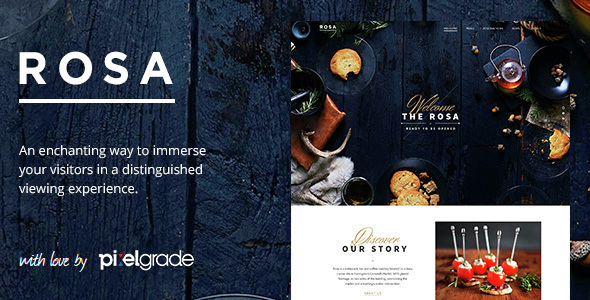 Resca is a popular WordPress restaurant theme from ThimPress, a Power Elite Author over at Envato. Like most of the other restaurant themes on this list, Resca goes beyond a pretty face and includes a variety of features to make it easier for you to create a stunning restaurant website. These include different demo styles, online reservations, HTML menus, parallax effects, and more. 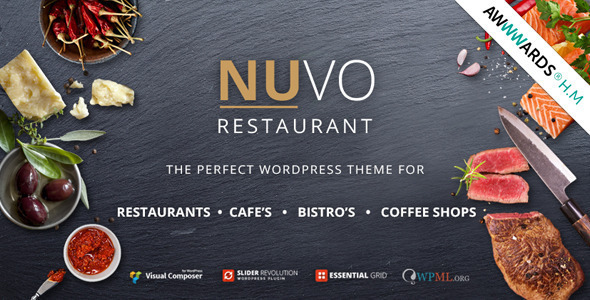 NUVO is a popular WordPress restaurant theme from CMSSuperHeroes. 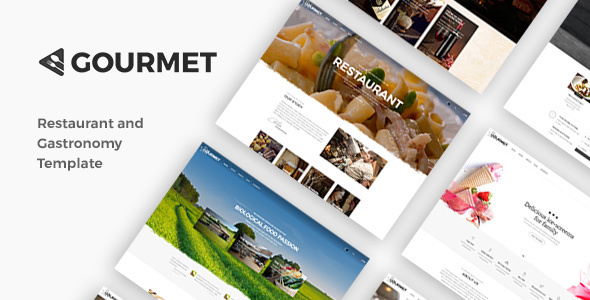 It boasts a 4.31-star rating on almost 3,000 sales, making it one of the most popular restaurant themes on ThemeForest. One nice thing about NUVO is that it includes pre-built demos for restaurants, cafes and bistros, and more. That means you can quickly get up and running with a demo that fits your specific food niche. It also offers an easy menu builder, as well as reservation and event management systems. And you can also sell food online with WooCommerce support. The theme is built on the Twitter Bootstrap framework, so it always looks great across devices. And it also includes built-in Visual Composer for easy page building. 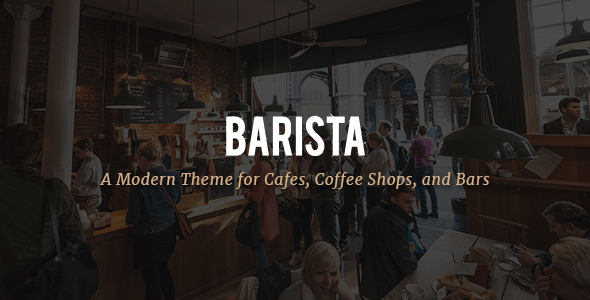 As the name suggests, Barista is a WordPress cafe theme that’s primarily focused on cafes and coffee shops, though its design is also flexible enough to handle bars and regular ‘ole restaurants. In addition to its 9 different homepage styles, Barista also includes a detailed menu system, as well as online booking via OpenTable. Gourmet is a restaurant theme targeted somewhat towards pizzerias and similar joints, though it’s flexible enough to work for most any type of restaurant. It features a black and white color palette by default and gives you plenty of opportunities to showcase mouth-watering pictures of your food. Beyond the looks, Gourmet also comes with a variety of headers and pages to help you customize your site. Divi is one of the most popular WordPress theme builders out there. 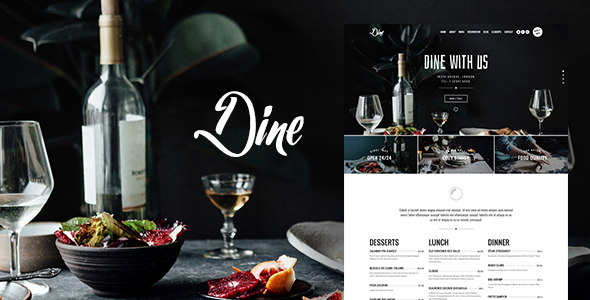 While it’s technically a multipurpose theme, Divi is well-suited to building a restaurant website with WordPress. You can either build your restaurant site from scratch using the power of the Divi Builder. Or, you can opt to use one of the many pre-built Divi restaurant child themes as a starter. 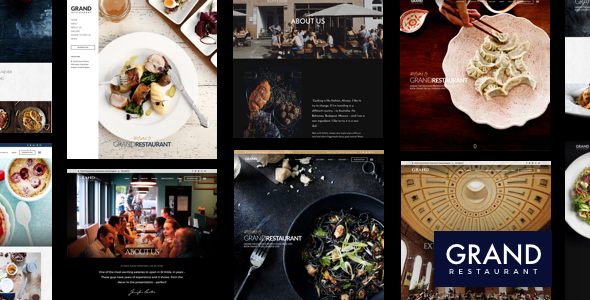 Elegant Themes, the company behind Divi, even includes a list of quality restaurant child themes to help you get started. Beyond one of the best page builders and flexible theme options, Divi also has a huge third-party support community, which makes it easy to get help if you ever need it. 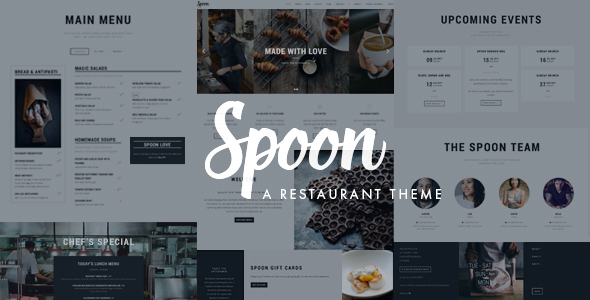 Spoon is another restaurant theme from the same developer as LemonChili. While it’s not quite as popular, I actually prefer Spoon’s design. It’s elegant, minimalist, and perfect for a wide variety of restaurant styles. I can see it working especially well for food trucks or juice bars. With Spoon, you can choose to use either a one-page layout or multi-page layout. And it also makes it easy for visitors on all devices to quickly find your restaurant’s contact information and opening hours. You can also create unlimited food and drink menus, manage your events, and create an online shop with built-in WooCommerce support. 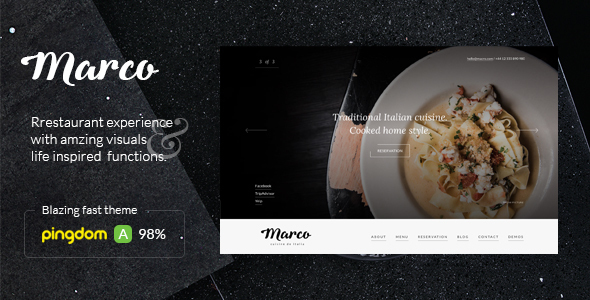 Marco is an attractive theme that boasts a huge full-width header image, as well as nifty smooth scrolling effect. It includes an advanced menu system with built-in filters to help visitors find what they want. And it also lets your customers book reservations through OpenTable, Restaurant Reservations plugin, and direct email. 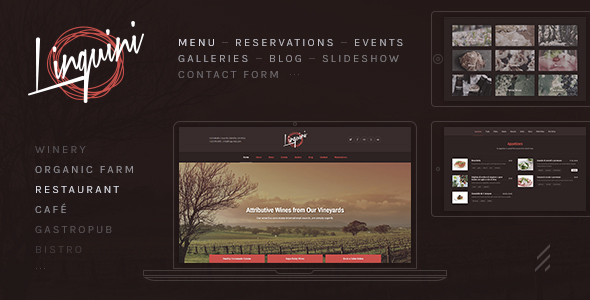 Gastro is a stylish WordPress restaurant theme that supports a variety of restaurant-specific functionality. In addition to great looking food menus, you can also accept online reservations and food delivery requests, as well as post recipes with the included recipe template. One thing that’s fairly unique about Gastro is that it includes multi-branch support. So if your restaurant or cafe has multiple locations, Gastro makes it super easy to display those without the need for a third-party plugin. It also includes in-line editing with the Blueprint page builder and uses the Live Customizer for other changes. Originally launched all the way back in 2010, The Restaurant has been around for quite some time at this point. Don’t worry, though – the theme still receives regular updates from the developer into 2017. Over that time, The Restaurant has built up a feature set that makes it perfect for a wide variety of restaurants. That feature list includes a dedicated menu card, as well as built-in support for WooCommerce, Restaurant Reservations plugin, and OpenTable. Limon bills itself as a “restaurant and spa WordPress theme”, which should give you an idea of the design aesthetic. In my personal opinion, Limon is great for a vegetarian or vegan restaurant because the design looks light and airy. It includes a built-in menu function that allows you to showcase pictures of your food, and it also supports Facebook Timeline, which makes it great for restaurants that use Facebook heavily. Because Limon splits its time between restaurants and spas, it lacks some advanced functionality like reservation management for restaurants. But you can still implement that feature through a third-party service like OpenTable. 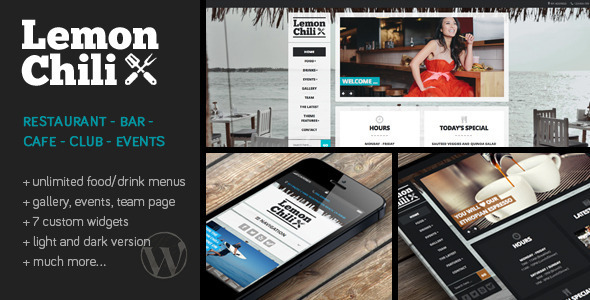 LemonChili is a cheap restaurant theme that’s perfect for restaurants, bars, cafes, nightclubs, and more. It lets you add unlimited food and drink menus. And you can also add and manage events if needed. Other features include built-in galleries as well as a dedicated team page. LemonChili also ships with 7 custom widgets to help you display your featured dishes, upcoming events, business hours, and more. Linguini is both one of the top selling WordPress restaurant themes at Theme Forest as well as one of the most affordable themes, which makes it a great option for a restaurant with a limited budget. While Linguini is quite affordable, that doesn’t mean it skimps on the features. It still boasts built-in HTML menu support, a reservation system, event calendar, and uses the native WordPress Customizer for real-time customizations. Dine is a classic-looking restaurant theme perfect for gourmet restaurants and cafes. It features a smooth parallax scrolling effect on the homepage, as well as built-in menu functionality, WooCommerce support, and easy demo content import. Dine also includes a variety of different header layouts, as well as built-in Visual Composer and good use of the native WordPress Live Customizer for real-time changes. You can also easily integrate reservations via OpenTable and translate the theme into different languages. 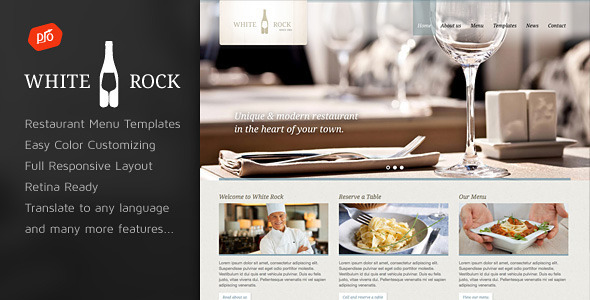 White Rock is a popular and well-rated restaurant theme from Power Elite Author ProgressionStudios. The looks are basic, but elegant for classically themed restaurants. On the functionality side, White Rock supports multiple menus for different courses, which is especially helpful if your restaurant has different menus for lunch vs. dinner. White Rock also includes pre-made formatting to show your contact information and restaurant hours. 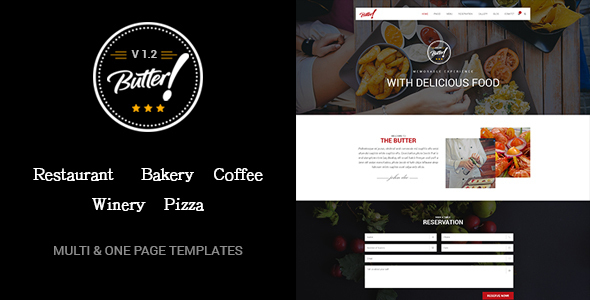 Butter is a flexible WordPress restaurant theme that’s perfect for pizza shops, bakeries, coffee shops, and all other types of restaurants. It includes everything that you’d expect in a restaurant theme. That means menu support, OpenTable reservations, events, galleries, and more. On the style front, it also boasts a neat parallax scrolling effect to immerse your visitors. WooCommerce support and drag and drop editing round out a powerful feature set. 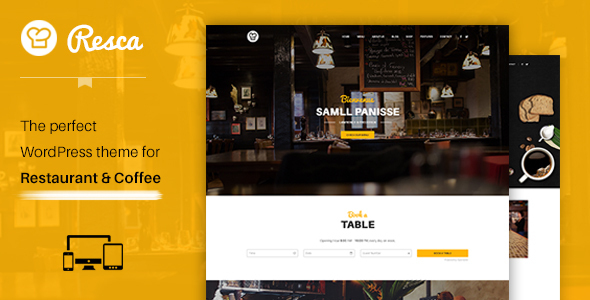 Belise is a relatively new WordPress restaurant theme from popular developer, ThemeIsle. 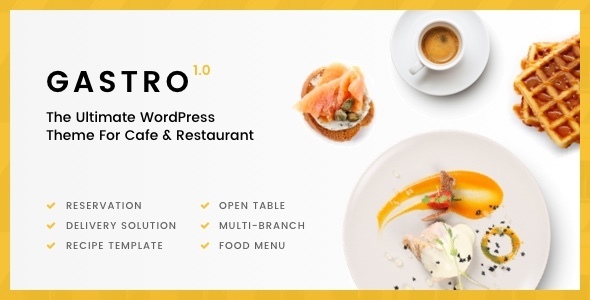 In addition to the Pro version featured in this entry, there’s also a more limited free version that’s one of the best free WordPress restaurant themes I’ve found. I just used it for my friend’s restaurant and found it exceptionally easy to set up thanks to its smart use of the WordPress Customizer. So what makes Belise so great? In addition to the style and Live Customizer, Belise also includes easy menu and event management, as well as integrated contact forms via the free Pirate Forms plugin. It’s also super simple to import the demo content and make your site look great right away. And that wraps up our list of restaurant themes! I hope you found the perfect theme for your establishment, and I look forward to seeing what you come up with! Let me leave you with one final message. The people who go on Google and search for food are hungry and ready to eat, so put some time into your website so that you’re the one that they choose. Best of luck!